Print any image. Custom is the new standard. Utilizing materials suitable for even the strictest environments, we strive to make every moment enjoyable. Each child is unique and their space should reflect that. Custom printed elephant window shade in Preston's bedroom. "Backlit" fabric style with reverse roll. 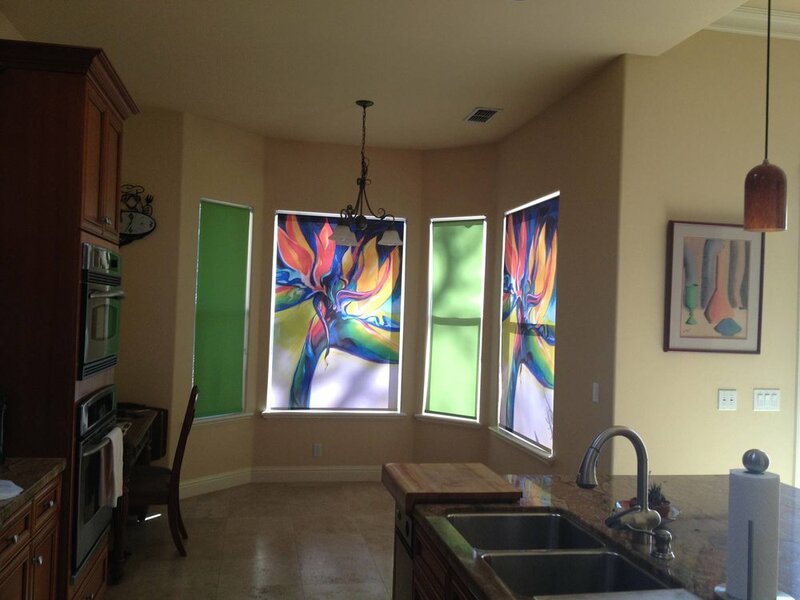 We allow you to design the perfect window shade for your kitchen, dining room, living room. Your shades are only limited by your own imagination. We help create unique atmospheres for commercial spaces from one thousand to one hundred thousand square feet. Our printed commercial roller shades combine beauty with functionality to help you create a space that uniquely reflects your business. From a yoga studio to a corporate office and everything in between. 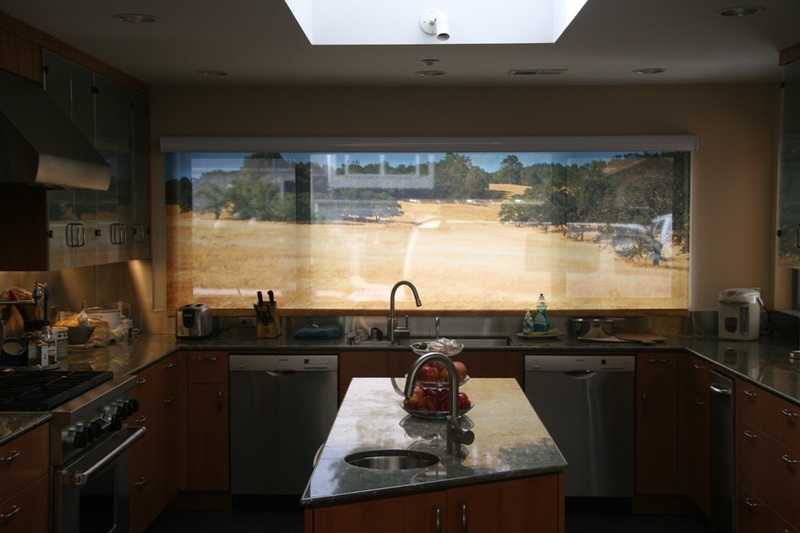 We love working with small businesses, architects, and people in the trade to help them design the ideal printed roller shades for their projects. A dynamic interior will keep clients and guests coming back. We've produced projects for corporate headquarters, boutique hoteliers, Fortune 100 companies, and small businesses. 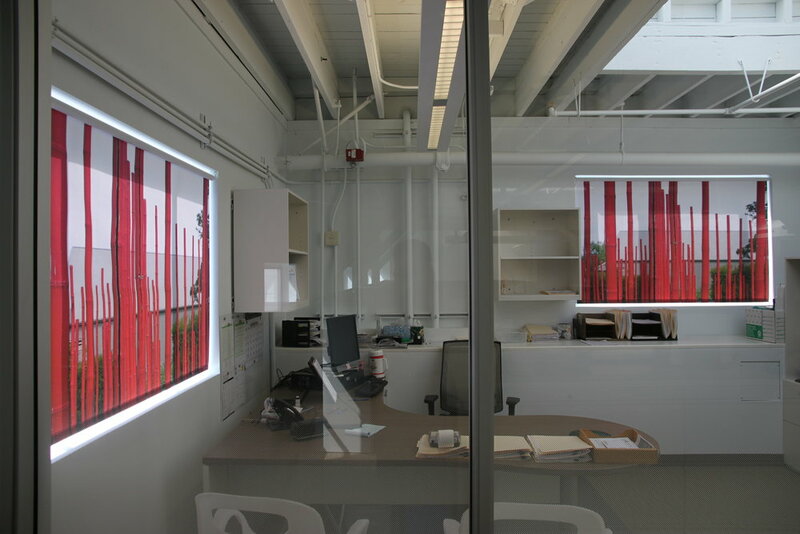 We work directly with you to create the window shades for your business no matter the size.